Everything starts with education. The Ormee Primary School provides quality Christian education to local Maasai children who otherwise would not have the opportunity. Applying Farming God's Way (FGW) principles, we provide the next generation with the right knowledge and tools to succeed in their agicutlural endeavors in order to survive and thrive in their communities. A well as been established on the school campus and now provides clean water for the school and the community. We have partnered with Maji:Hope (based in Alabama) to make this happen! Maji Hope has planned for more wells in the surrounding area. We believe that one of the most effective means to seeing lasting change within an individual, family, community and nation is not so much through educating the current leaders, but through educating and equipping the next generation of leaders. 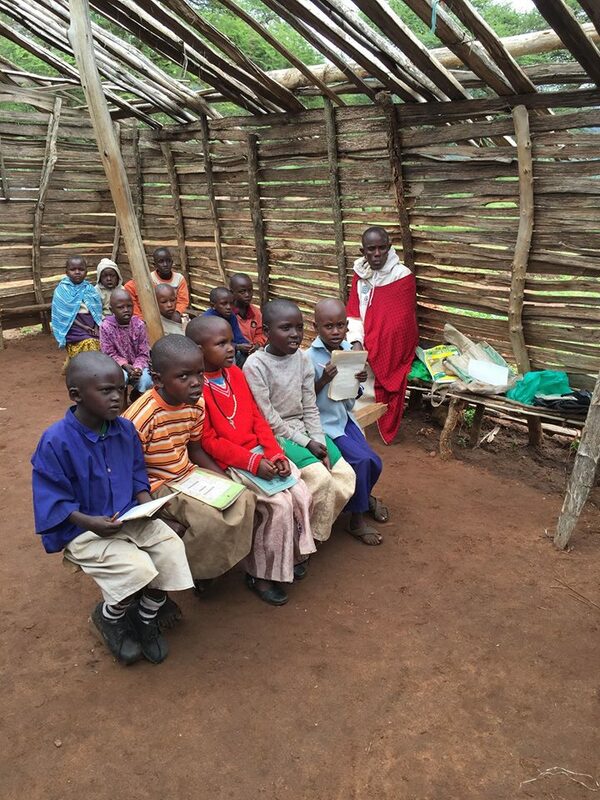 The Ormee school will provide Maasai children with a high quality Christian education in Africa. Instead of the government issued agriculture training, these children will be trained and discipled in a relevant, biblical and sustainable approach to agriculture known as Farming God’s Way (FGW). The school will also be used as a training center, complete with demonstration plots, for the immediate community as well as surrounding areas. Through our sustainable agriculture and discipleship program we’re planting seeds of Hope in the hearts of the poor as they place the seeds in their fields! Farm Hope Thrive provides training and other assistance to help communities transition from subsistence living to food security. Our programs help impoverished families become self-sufficient and combat chronic hunger. We feed families without handouts! We have been working in Tanzania for over 11 years, and in doing so we have seen the extreme shortfalls that the average farmer experiences. Their crop yields are devastatingly meager due to poor management, planning and a general lack of knowledge in agricultural practices. Their farms do not produce enough to feed their own families and there is rarely ever any extra to sale, which keeps them burdened by poverty. This burden of poverty goes deeper than a simple lack of money; it is also a spiritual and mental poverty. We believe a holistic approach to agriculture is needed to address this burden and to bring individuals into a closer relationship with the One who created all and restores our hope. We have also seen the need and hunger for good quality education in general. We believe that one of the most effective means to seeing lasting change within an individual, family, community and nation is not so much through educating the current leaders, but through educating and equipping the next generation of leaders. The Ormee school provides Maasai children with a high quality Christian education and instead of the government issued agriculture training they will be trained and discipled in a relevant, biblical and sustainable approach to agriculture known as Farming God’s Way (FGW). The school will also be used as a training center, complete with demonstration plots, for the immediate community as well as surrounding areas. Students, teachers, pastors and individuals will all be welcomed to learn how to improve their crop yields through classroom and hands on training, care for God’s creation and how to develop a closer relationship with God. A well is established on the school campus and provides clean water for the school and the community. The Ormee Primary School will be a model school and training center for Tanzania and beyond, and potentially one of many for the Maasai community. There are over 5000 children in the area currently receiving a poor education through government schooling or no education at all. The Maasai in this area are now primarily farmers, traditionally they were nomadic pastoralists. We initially started working with the widows of this community when we were invited to teach them about FGW. This was a leap in a different direction for them culturally as they began to lean more on agriculture. The widows were and still are very accepting of this program and others are showing interest, however, most of the community are stubbornly holding on to the more traditional forms of agriculture which lack any form of management, consistency or spiritual impact from God. Children are quick learners and much more open to new things. Many effective ministry models are founded on the education of children to make a long lasting impact in communities. We believe this is the way we will bring God into many homes in Mairowa as well as food, environmental restoration and the ability to make a profit with agriculture. The school will also provide jobs for the community by employing local Maasai teachers to become quality Christian teachers for the school. The Ormee Primary School provides quality Christian education to local Maasai children who otherwise would not have the opportunity. Our mission is to equip the next generation of leaders to make a Kingdom impact in their own lives, their family, their community and their nation. In order for us to achive our goal the Ormee Primary School must have quality trained teachers who have a heart and passion for children, education and carry the same vision. Currently in the Tanzanian public schools the government is posting one teacher for every 150 students. The Ormee Primary School has one teacher for every 30 students. The government as also recently changed the teaching requirements for primary school teachers, which leaves thousands of Tanzanian teachers now unqualified to teach forcing them to resit their exams and extend their education and qualifications. This is also the case for the teachers of Ormee. Farm Hope Thrive is dedicated to ensure the Ormee teachers are fully qualified to educate and equip the beautiful Maasai children of Ormee Primary School. We have decided to assist the Ormee teachers with their school fees to extend their education and qualifications. Upon passing their exams, the Ormee teachers will be enrolled at the Joshua Foundation Teacher’s Training College (JTTC) in Arusha, Tanzania. In our opinion and experience, JTTC is the best teacher’s college in all of Tanzania. We have known and worked with them for many years. The teacher’s extended education and qualifications will take 2 years to complete and will only cost $2000 per year, which includes tuition, food and accommodation. That’s only a total of $4000 to fully qualify one of our Ormee teachers. We have one teacher that has already qualified and now attending JTTC in Arusha. Her name is Namelock and her details are below. 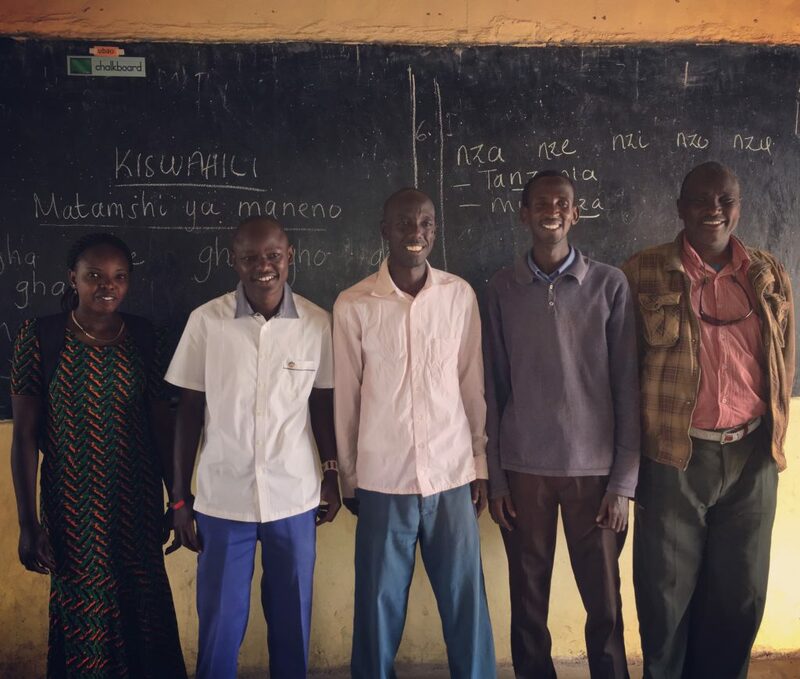 Will you partner with us by sponsoring one of our Ormee teachers to insure the Ormee Primary School had the best qualified teachers in all of Tanzania? Namelock Elias and she is 20 years old. Namelock is Maasai and is from the Simanjiro area of Tanzania. She is a Christian and was raised in a Christian family. 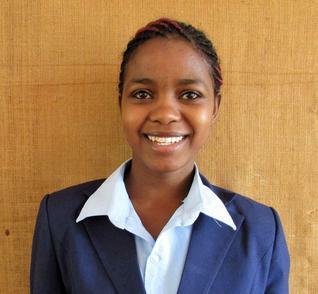 She is young, energetic and passionate about education and teaching children. Namelock and her father found out about JTTC through one of the pastors from their Simanjiro area who trained at the Joshua Foundation Leadership Missions College years ago. She was excited about the opportunity but discouraged because of the tuition expenses. Our friends at JTTC knew that we were looking for qualified Maasai teachers for Ormee, so we were introduced to Namelock, heard hear heart and passion and decided she would be a perfect addition to Ormee Primary School.